← Somebody bet on the Bay …please. 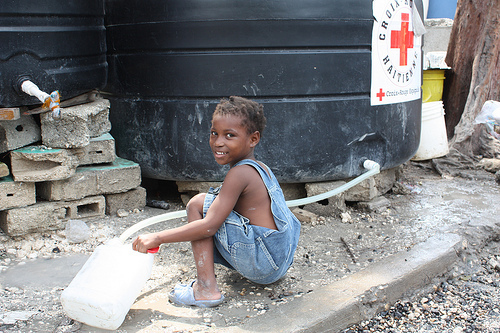 Getting fresh water from the Red Cross in Haiti. Shelby, a girl with a giving heart. 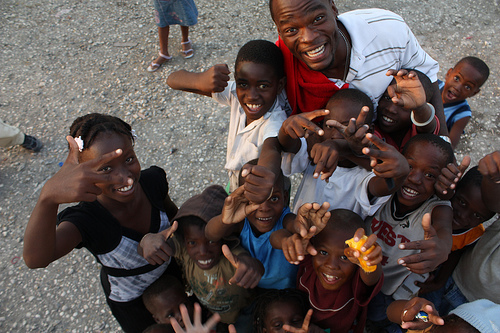 And so Sonje Bracelets (sonje means remember in Haitian Creole) began. Unfortunately, the first round of Julie & Shelby’s jewelry making went rather badly. Beads popped out of their hands, scattered all over the floor, and the end result was – not great. 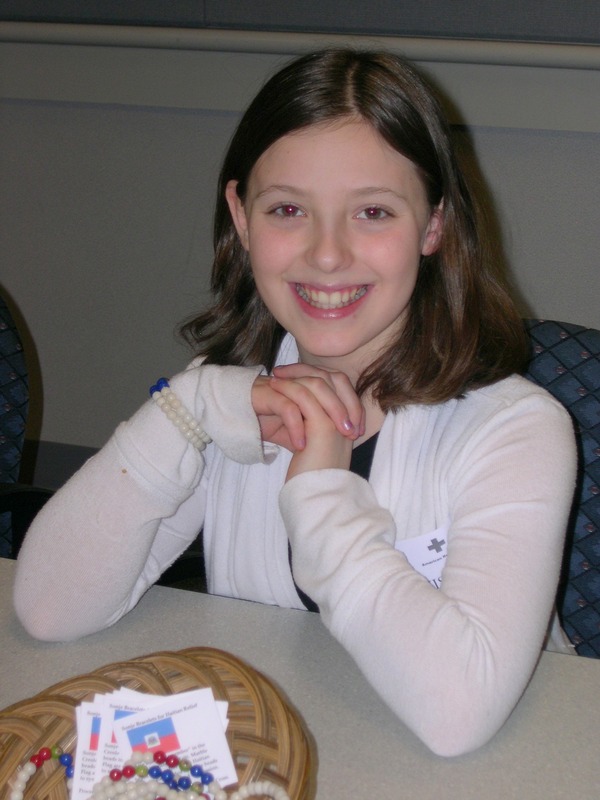 So Julie enlisted the help of her expert jewelry-making friend Stacey McGrath, whose 9 year-old daughter Clare was thrilled to be part of it … then mom Anne and Anna Ellis, 14, who was already making bracelets for Africa, joined in – and soon the operation was humming along beautifully. 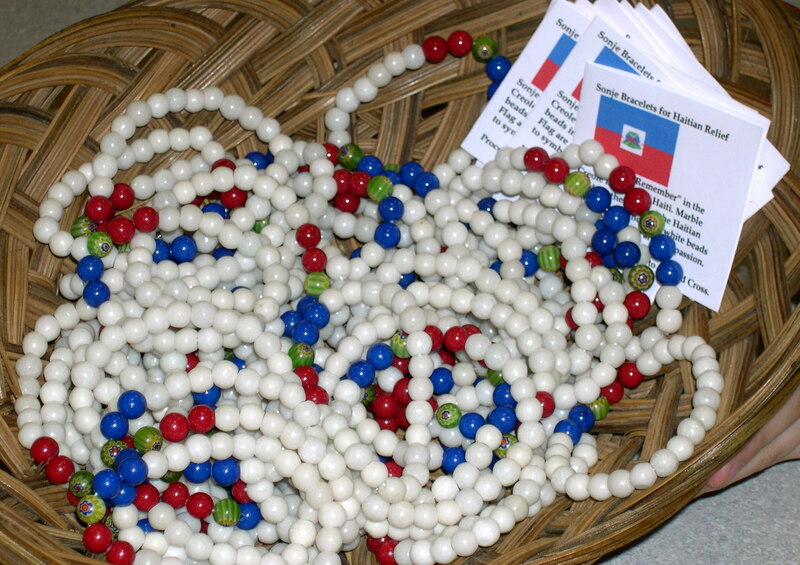 Sonje Bracelets are made of white marble beads for hope, interspersed with green, blue and red beads representing the Haitian flag and cost $15– with 100% of that being donated to the American Red Cross for relief efforts in Haiti. (The moms are donating the supplies as their part of the effort and Anna’s kicking in her babysitting money.) A few weeks ago, the girls had a big jewelry-making party with other friends and created 110 bracelets – which they are madly selling on facebook in school, at church, and up & down the block. 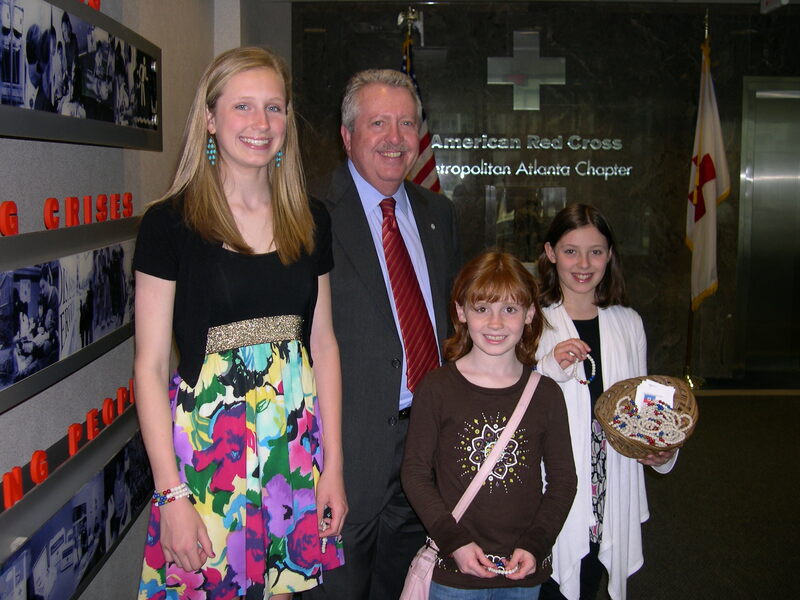 Last week, the girls took $1500 in to the Red Cross, met CEO Tim English, and sold him a bracelet, too. Anna, Clare & Shelby are relentless sales agents, and so cute that you’re delighted to cave in and cough up the $15. I’m wearing mine now, and only wish I had bought two because they look really good doubled up together. The girls asked me to send my $100 today to the Red Cross in Haiti. 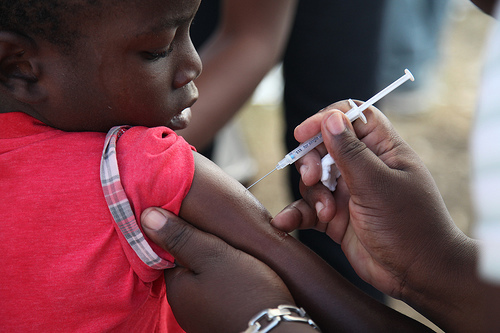 In three months, the Red Cross has spent $111 million helping 2 million Haitians; provided tarps and tents to nearly 373,000 people; distributed 60 million liters of clean drinking water; built more than 1,300 latrines; helped vaccinate more than 152,000 people; shipped more than 2,100 units of blood to medical facilities; treated more than 86,000 at Red Cross hospitals or mobile clinics, and registered more than 28,400 people with missing loved ones on its family linking Web site. That’s where 100% of your bracelet money is going — so it’s truly guilt-free shopping! If you’d like to buy a Sonje Bracelet, you can email the girls at sonjebracelets@gmail.com and they’ll hook you up! This looks like a fantastic project! I actually took the first and last photo in your blog post during a 2-month assignment to Haiti with the Red Cross, and can attest to the impact that each donated dollar is making. Thanks for your charitable work. Mat — I LOVE those photos!! I hope everybody knows you took them; what a powerful testimony to what Red Cross is doing over there — and I particularly love the ones of the kids at the airport. Very moving! Thanks for your good work!!! Hi! This is Wendy Harman from the American Red Cross. Thank you for thinking of the survivors in Haiti and for being so generous with us. You are amazing! Love the bracelets.